The Aboriginal Arts and Culture Leadership Grant (AACL) was launched by SaskCulture in 2007 following a funding model developed by the Saskatchewan Arts Board. The AACL grant is aimed at increasing the capacity in Aboriginal communities through the development of arts and cultural leadership and mentorship opportunities. 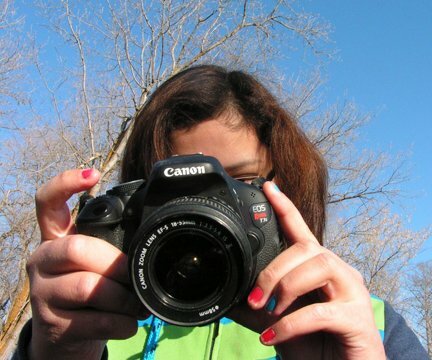 Activities range from youth powwow and Métis jigging programs, to culture camps and elder/youth mentorships, to projects in bridging technology and culture through photography, film and video, as well as projects in music and arts. Recent recipients show the diversity of those funded and the range of innovative programming. In 2011, the Lestock Métis Local and the town collaborated in preparation for their centennial year celebrations by bringing in expertise to build their own Red River cart on site. The cart will be unveiled this year in the centennial parade to celebrate Métis heritage in the region. Last year, the Oskayak School in Saskatoon and the Newo Yotina Friendship Centre in Regina provided powwow programs to teach dance, regalia-making and singing to those entering into the annual powwow trail. Muskoday First Nations began a process of Elder interviews and research for a travelling display designed to educate the broader public to the rich history of the Eagle Staff and Lance Run. The display will be part of the 2013 First Nations Summer Games, hosted by Muskoday First Nations, and continue on as a legacy for future games. As well, the Living Sky School Division used the grant to bring in cultural expertise, for its project “Living History, Telling our Stories, Treaty Education for All”, to provide middle years students with information about historical and traditional Aboriginal knowledge and ways of knowing through the larger contest of the arts. “We are pleased to see the enthusiasm and increased access of First Nations and Métis communities, as well as being able to respond with funding increases to match this demand,” says Newkirk. The number of programs supported through the AACL in 2011-12 is equivalent to the entire first three years of the program, from 2007-2009. Nearly $490,000 was provided to support 27 First Nations and Métis initiatives in rural and urban settings across the province. The increase in access and demand for this program can be attributed to enhancements in the cultural network with efforts in promotion through magazines such as Engage and Eagle Feather News, as well as outreach by staff through Tribal Councils and Sport, Culture and Recreation Districts, various community consultations, partnership work with Sask Sport and Saskatchewan Parks and Recreation Association and a partnership agreement with Gabriel Dumont Institute.